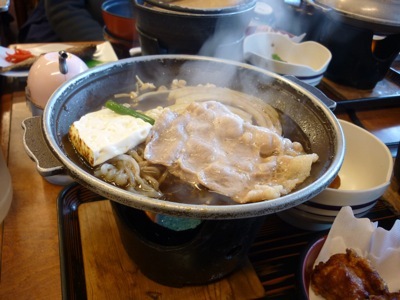 Since we were not able to go up to Mount Fuji’s 5th Station, as an alternative, we went to Oshino Hakkai (忍野八海). From the time the snow on the peak of Mt Fuji melts to the time it flows and comes out in the ponds as spring water, it takes 80 years or longer. When flowing down, the water is filtered by underground layers of Mt Fuji. By the time it reaches the ponds, the water is extremely pure and you can drink directly from the source. 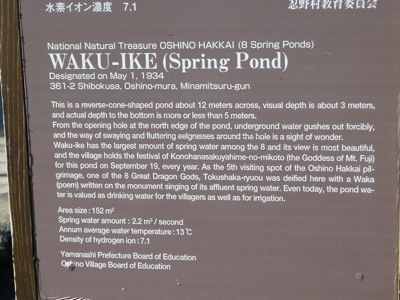 There are altogether 8 ponds in Oshino Hakkai. 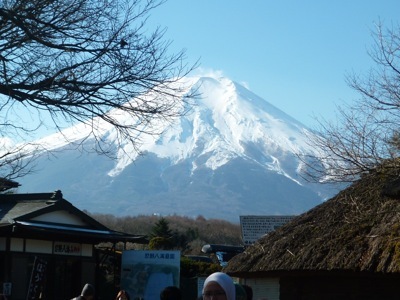 Over here, it is also a great place to see Mt Fuji. If the weather permits, a clear, beautiful Mt Fuji can be seen. 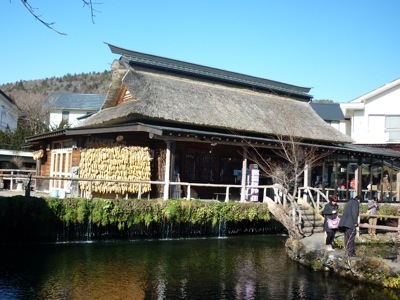 Also, if you have not seen one, traditional Japanese houses are still available here. 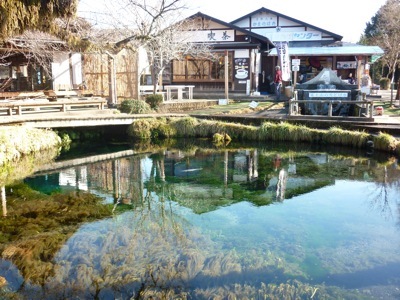 Of course, there are restaurants and shops selling snacks and souvenirs in Oshino Hakkai. 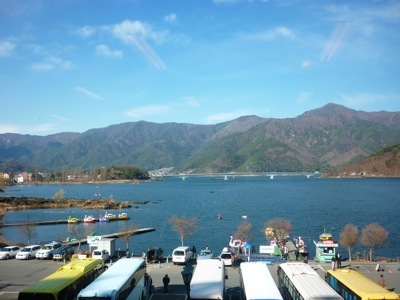 We had a quick sightseeing (I mean a real quick one) at Kawaguchi-ko (Lake Kawaguchi 河口湖) – a lake at the foot of Mount Fuji in Hakone. You can actually take a boat ride on the lake if you have time. Later we had lunch at a restaurant nearby. Again the lunch was excellent.